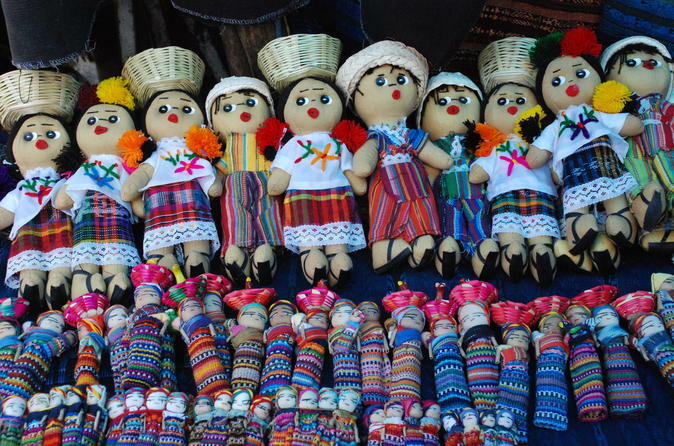 Today is market day in Chichicastenango! Visit the most colorful and picturesque Indian open-air market in the country. Hundreds of Indians from the surrounding countryside gather to barter their goods and products. Witness the captivating religious ceremonies held on the steps and inside the 400-year old Church of Santo Tomás (No shorts or bathing suits are allowed inside the Church). Continue to Lake Atitlán, one of the most beautiful in the world, with its crystalline-azure waters in the crater bowl below. Atitlán is the ideal place to come in contact with the Guatemalan folklore. Twelve Indian villages surround the Lake, and their inhabitants are descendants from the great Quiché, Cackchiquel, and Tzutuhil nations. In the afternoon, you will be transferred to Guatemala City.